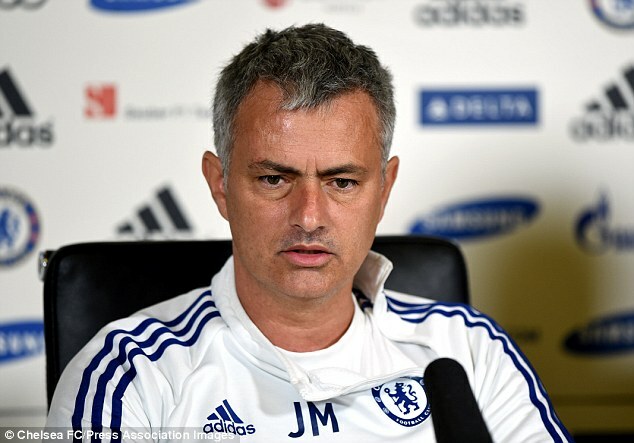 Chelsea manager Jose Mourinho questioned the crowning of Luis Suarez as English football’s player of the year in his latest swipe towards the Liverpool striker. 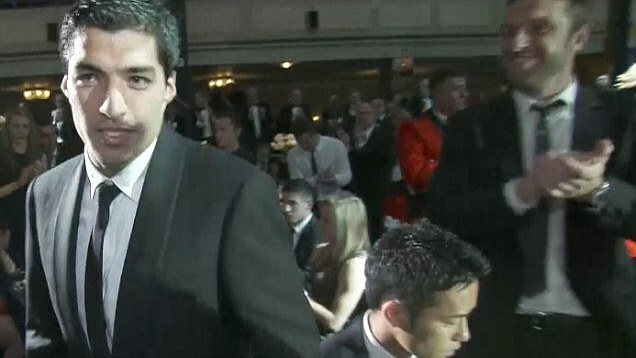 Mourinho has labelled Suarez – the Professional Footballers’ Association and Football Writers’ Association player of the season – the king of penalties this season, described him as an ‘acrobatic swimming pool’ diver and, prior to the trip to Anfield last month, suggested the Uruguay forward goes in search of contact in the box. Now the Blues boss stated his player of the year would come from the Barclays Premier League champions – Manchester City striker Edin Dzeko or Liverpool captain Steven Gerrard if the Reds win a first title in 24 years on Sunday. 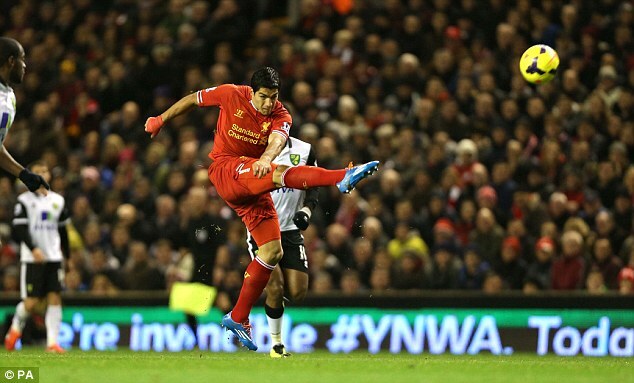 Mourinho said: ‘Luis Suarez is a very good player. They’re not voting for a player who has no quality. ‘(But) the profile of player who wins the player of the year is not the profile of player who used to win in English football 10, eight, six years ago. ‘He bit (Chelsea’s Branislav Ivanovic) not this season but the previous season. This is a different season. I’m not speaking about one mistake that a man can have. You don’t have to be punished for the rest of your life if you make a mistake on the football pitch. ‘(But) my player of the year would be always from the champions, in every condition. 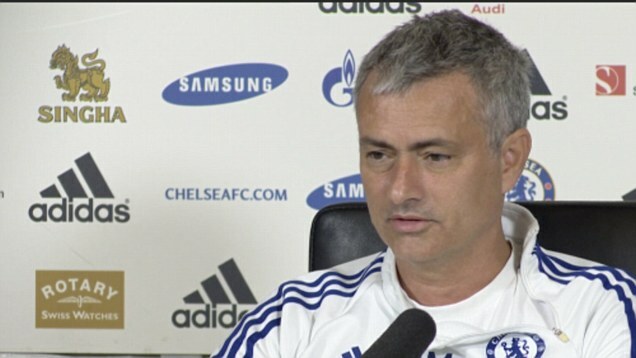 Mourinho outlined his reasons in a veiled criticism of Suarez. ‘The kind of player he is, he’s not just a goalscorer,’ Mourinho added. ‘He assists, he plays, he behaves, he’s fair, doesn’t dive, doesn’t try to put opponents in the stands with accumulation of cards. ‘He was the third (choice) striker at the beginning of the season. He was hidden behind his manager’s first choices and when the team needed him in crucial moments of the season, I think he made the difference. If City lose on Sunday to West Ham and Liverpool win the title, Gerrard would be Mourinho’s man of the year, even though his slip in defeat to Chelsea proved costly. 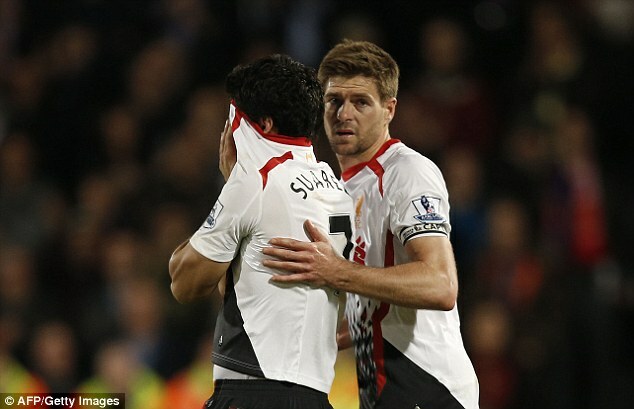 In appraising Gerrard there was also a cryptic mention of Suarez. Liverpool’s revival is one of the many aspects of change Mourinho has encountered on his return after a near six-year absence. He said: ‘The top four has become a problem that didn’t exist before. ‘In this moment you start the season and all the big teams are at risk over finishing in the top four. That becomes fundamental, not just for the economical aspect. ‘For the teams that respect Financial Fair Play, finishing in the top four is very important, because it’s financially crucial. ‘Also by the prestige point of view and to try to attract the best players and the best sponsors to finish top four is really, really important. ‘I don’t think a club can afford to be two or three consecutive years out of the top four.